Major Sheikh Md Saiful Alam (Retd) has joined in this academy of 12 January 2014 and serving as adjutant till today. He is commissioned from Bangladesh Military Academy in 1985. 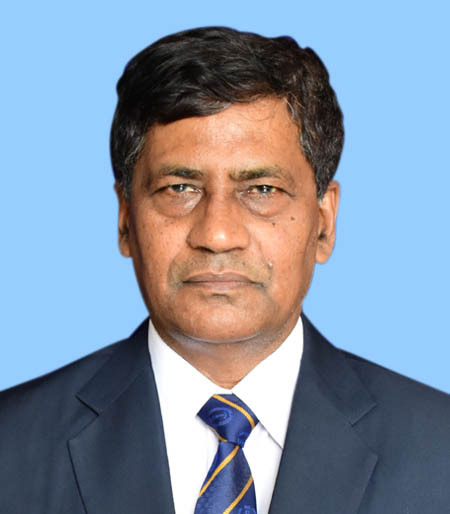 He served in Bangladesh Army for 25 years in different appointment including Adjutant, Army Head Quarter (Admin Wing), Company Commander, Second in Command, in an Infantry Battalion. Served around five years in Chittagong hill tracts and participated in counter insurgency operation. He also served in UN Mission in Haiti and D R Congo. He has the experience to serve as DIG (Prisons) at Chittagong, Sylhet and Dhaka division. He passed SSC and HSC from Rajshahi Cadet College. BA (Pass) from Chittagong University. He looks after the Discipline, Physical Training, Parade and administration of the Academy.